Dockhound — software for dry storage marinas. 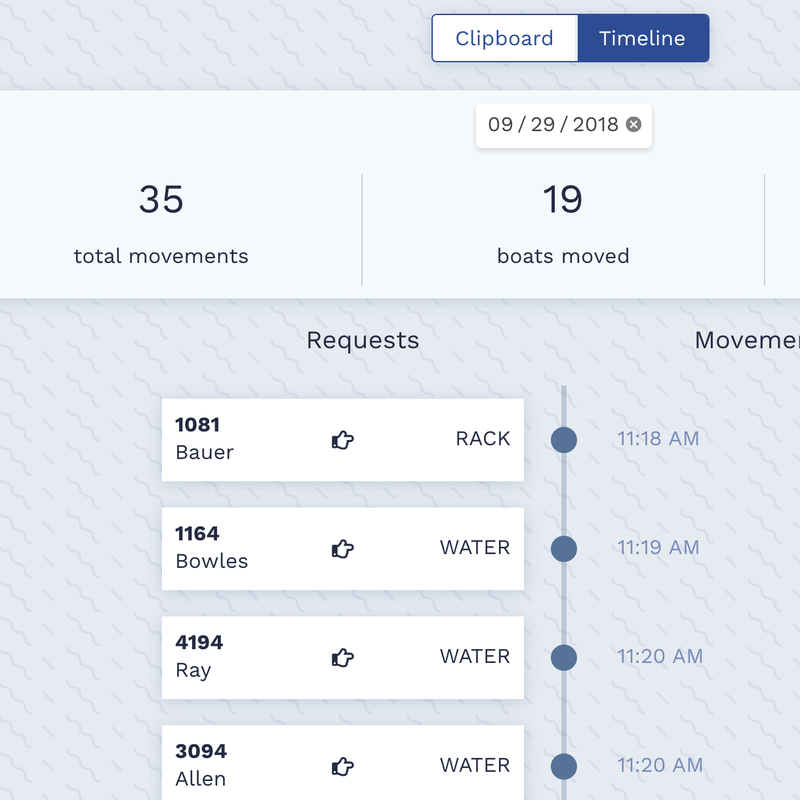 Dockhound is the easiest way to track launch requests and boat movements. Dockhound is a software tool that helps dry storage marinas track crucial operations like launch requests, boat movements, and customer communication. It's easy for boat owners, intuitive for forklift drivers, and powerful in the hands of marina managers. What can you do with Dockhound? Whether your marina does scheduled launches, call aheads, or only launches a boat when the customer shows up, Dockhound has you covered. 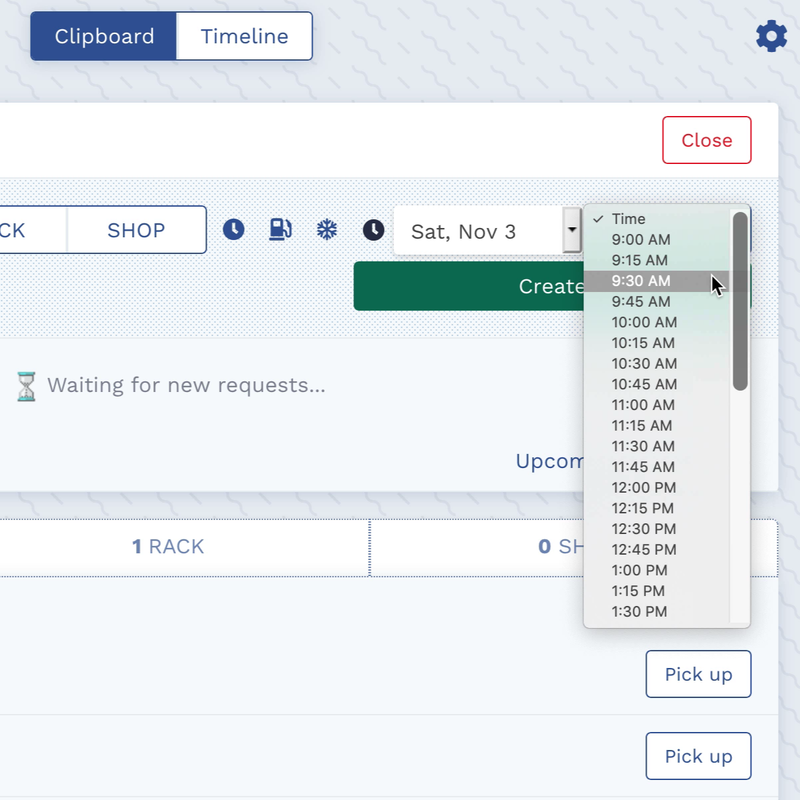 Scheduling requests is as easy as picking a day and time, and the request will be sent to your drivers 3 hours ahead of time. Marina customers automatically receive request confirmation and reminders via text message. Every time a boat moves at your marina, that movement is easily recorded in Dockhound. This helps marina staff keep track of which boats have gone out, which boats still need to go out, and which ones have come back. Boats can be moved between the water, a work rack, or the dry stack (home), and every movement is stored in the sequence it occurred. For specific situations, marina employees can make comments on boats that are out, providing appropriate context for the marina staff. Pen and paper systems make it hard to get an accurate look at how busy the marina is at a given time. If you're not physically at the marina, it's even harder. Dockhound provides marina operators with insights they care about. It answers questions like "How many boats did we launch yesterday? ", "How long has that boat been gone? ", and "How many launches are scheduled for Saturday?" 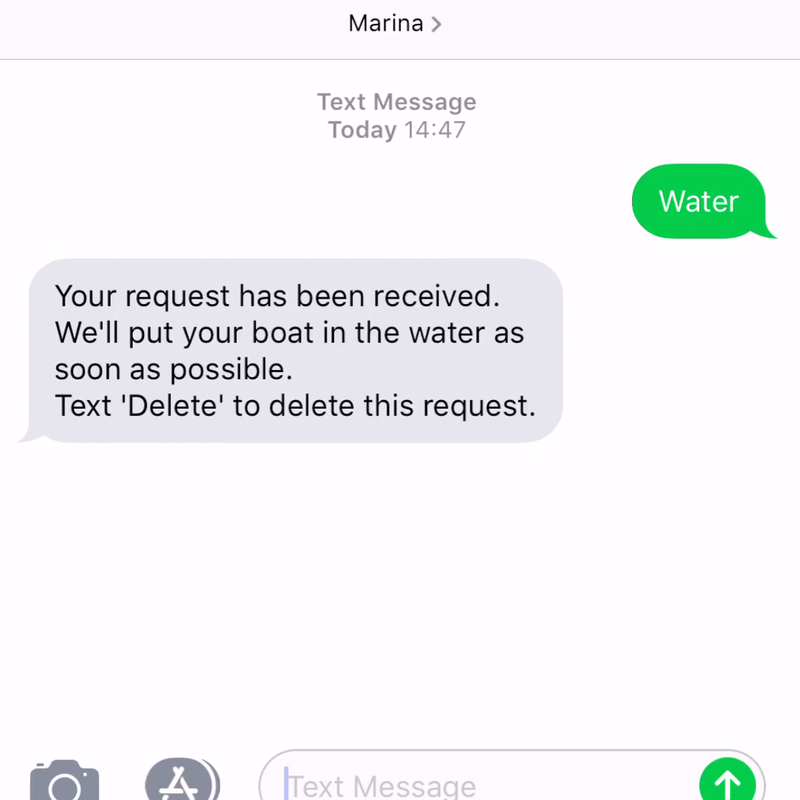 Marina customers don't need any new equipment or software to start using Dockhound - a simple text message is all it takes to launch their boat. Most boat owners understand and are comfortable with sending text messages, but not everyone gets excited about having to download a new app, or sign up for another account. Dockhound is the simplest way for dry storage customers to request their boat. Dockhound makes it easy to find and manage customer information. 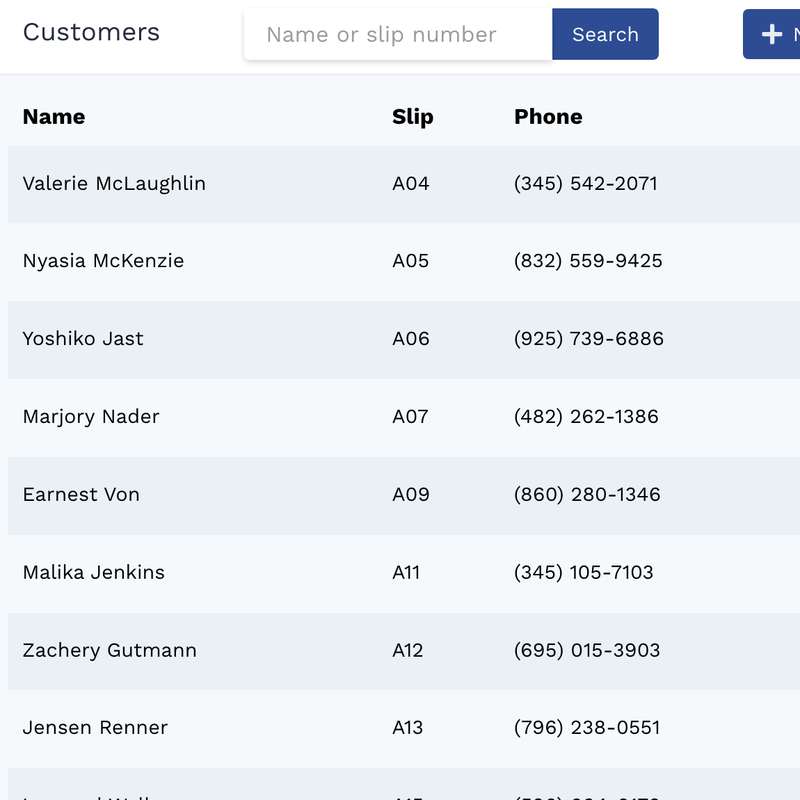 A marina's customer list is easily searchable in Dockhound, and all of the customer's contact and slip information is displayed in one place. When you move a boat in the dry stacks, just record the change in Dockhound and the boat is ready to be moved again. No need to notify the customer - with Dockhound they no longer need to remember their exact slip number. Get in touch via email, or by phone at 919.307.9593. Read more on our blog, and Frequently Asked Questions. Copyright ©2018 Sturdy Co., LLC. All rights reserved.